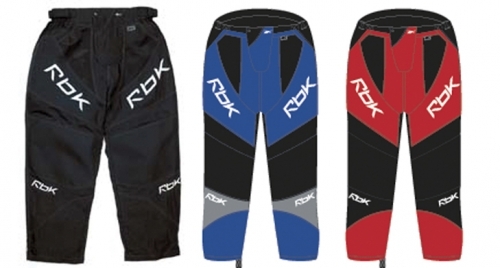 ﻿ Reebok 4k Pants at Skates Pro Shop - Discount roller skate shop! Skates Pro Shop - Discount roller skate shop! Lightweight nylon, reinforced knees, Lycra crotch for increase in motion. Black, Black/Blue, Red/Blue.